It was once an elegant hotel, then a notorious party spot. 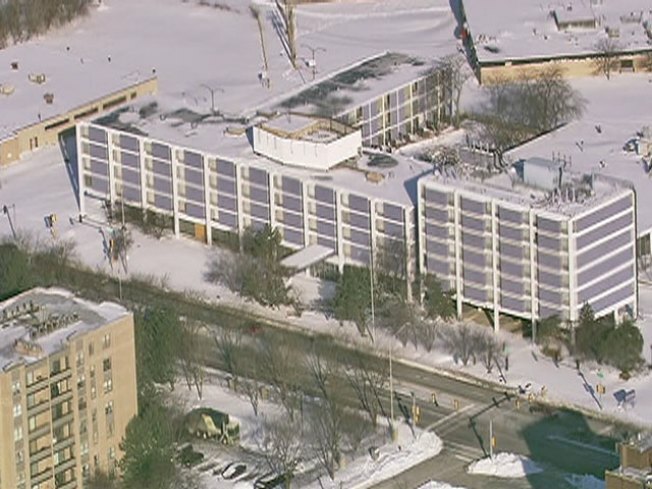 Now the Purple Hotel in Lincolnwood is set for demolition. A Cook County judge this week gave the village permission to tear down the building, at 4500 W. Touhy Ave., if the owner does not fix 31 code violations by Aug. 1. Village President Gerald C. Turry told the Lincolnwood Review they ran out of options. "We know that this building has a rich history, with wonderful memories for many people. Regrettably, it has been allowed to deteriorate into a blighted condition. We had no choice but to seek its removal," Turry said. The hotel opened in 1960 as the Lincolnwood Hyatt House, but its reputation had been in decline for many years even before it was closed in 2007. In 1983 it was the site of the alleged mob killing of Allen Dorfman. During the 2008 trial of political fundraiser Tony Rezko, Stuart Levine admitted that he spent days at drug-fueled parties at the hotel. It was set to be sold for $27 million in 2008 but the deal fell through as the economy soured. Since then the Village says the owner failed to maintain the property, allowing garbage to pile-up, attracting insects and rodents. "The property owner and the court recognized that the village had a legitimate public health and safety interest in seeking demolition,"
The court ruled that Village Resorts, Inc. run by Donald Bae of Skokie, owes Lincolnwood more than $77,000 in legal fees, $500 for each code violation, and is responsible to pay for the demolition costs.